This gold and black bird of the plover family feeds mainly on worms, beetles, and insects. They are 26 to 29cm in length and have a wingspan of around 67 to 76cm and weigh in at between 160 and 280g. 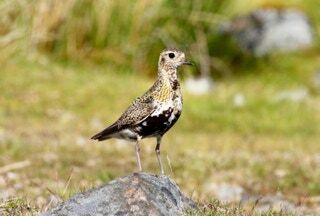 Often seen in upland moorlands and in the Highlands.